Every baby needs a onesie...a lot of onesies. 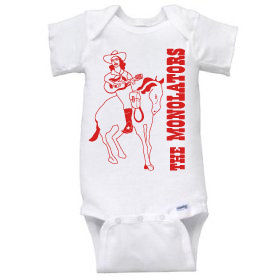 But does every baby have a cute cowgirl onesie? I sincerely doubt it, and that wee person in your life (or somebody else's life) will thank you for it. Recommendation: Choose one size bigger than child's age. These tend to run a bit small, plus he or she can wear it for longer. 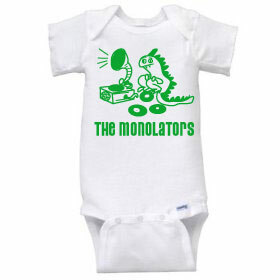 For the young...very young record listener, who also loves dinosaurs. Train them young!